You run out of superlatives talking about what a marvellous facility the McArthur Squash Centre is in Charlottesville, venue for the 2018 World Masters. 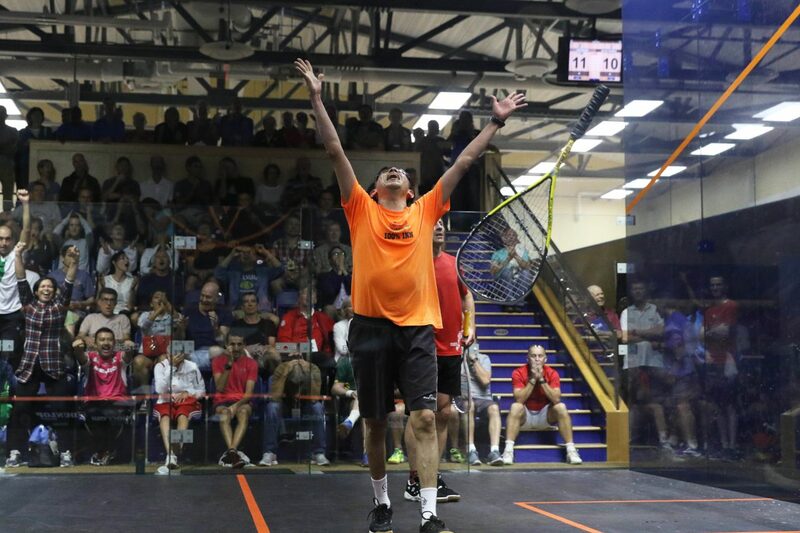 With 12 glassbacks, a three-sided glass court and a full glass showcourt taking centre stage at the brilliant Boars Head sports centre and resort, it is one of the most magnificent squash clubs in the world. 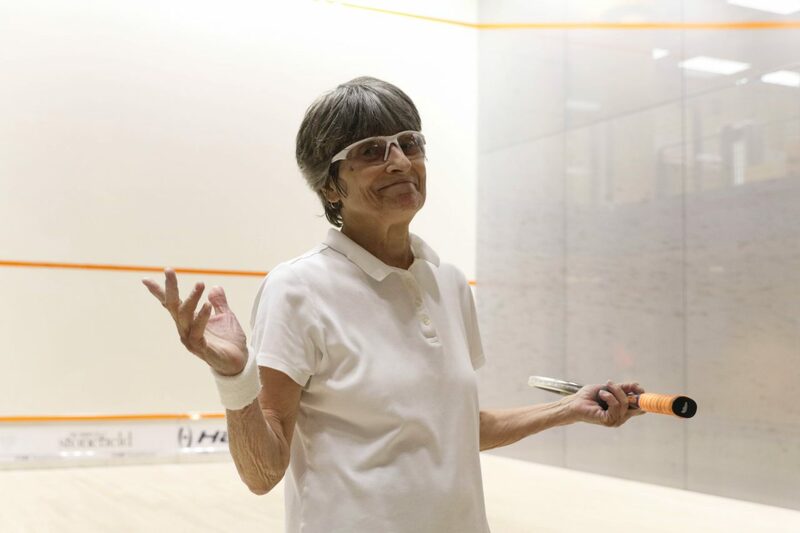 Squash has been spoilt not only with the facility, but also by a host of social events in a wonderful camaraderie and friendly atmosphere where many have rekindled friendships of old and forged new ones. Day six and 1,600 or so matches on, semi-finals day arrived here in Charlottesville, with many familiar faces, and some new ones in the over-35 age group, powering through to the finals. In the Women’s draws, England leads the way with seven of the finalists, Australia next with six, the USA with three, and Canada and South Africa one each. Dope testing was conducted today for the first time this week, something Masters players are not accustomed to and will have to get used to in the years to come. Taking medications requires a TUE form, which needs to be sent to the governing body and/or WSF, in the case of a World event such as the world masters, of the event. It has caught a few by surprise, I am certain, by ignorance rather than efforts to enhance performance. Players from the US, I have been hearing, have really embraced the spirit of this event and many are talking of playing the next in 2020, in Poland. A dramatic slate of 35 semi-finals saw Australia emerge in front of the pack with a tournament-leading nine finalists and England close behind with eight, while Canadians won four out of six semifinals Friday at the McArthur Squash Center in Charlottesville, Virginia. Team USA’s first breakthrough came in the form of 75+ five seed Joyce Davenport upsetting South Africa’s top seed Jean Grainger in four games. Both players entered the match with a 3-0 record in the six-player round robin, and now Davenport just needs to defeat Slovenia’s six seed Mariza Ohlsson to clinch what would be her second World Masters title, which she is quietly confident of. As the day progressed, Australia, England and Canada laid down their marks. Australia emerged with a tournament-leading nine finalists, including women’s 45+ defending champion Sarah Fitz-Gerald, women’s 50+ top seed Sarah Nelson, women’s 55+ top seed Susan Hillier, men’s 55+ top seed Geoffrey Davenport and Men’s 70+ top seed Brian Cook. The Aussies produced four results that upset the seedings to reach finals, including women’s 65+ three seed Gaye Mitchell upsetting the two seed Faith Sinclair, four seed Brett Martin upsetting top seed Willie Hosey and men’s 55+ three seed Peter Gilbee upsetting two seed Fredrik Johnson. The most dramatic match of the day came in the Men’s 55+ division between England’s two seed Jeremy Goulding and unseeded Mexican Juan Mendez, a former hardball singles professional. Mendez fought off two match balls in the fifth game to win the match 12-10 in front of a roaring audience. Mendez is the only unseeded player in the tournament to reach a final, where he will face Australia’s Geoff Davenport. Other lone nation representatives in the finals include Botswana’s Alister Walker and the Netherlands’ Laurens Jan Anjema, who meet in the men’s over-35 final, Ireland’s Liam Kenny (M40+), Germany’s Hansi Wiens (M50+), Cayman Island’s John Macrury (M60+) and Scotland’s Ian Ross (M70+). 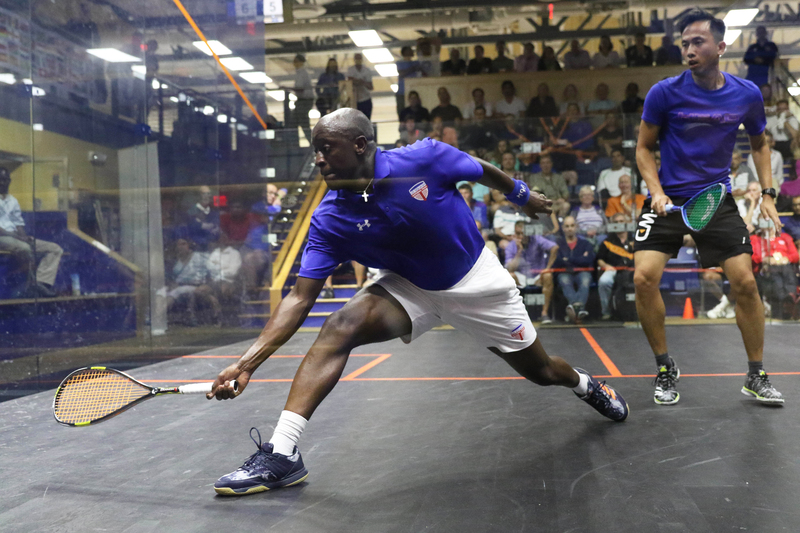 SEMI-FINAL RESULTS: 2018 World Masters, McArthur Squash Center, Charlottesville, Virginia, USA.